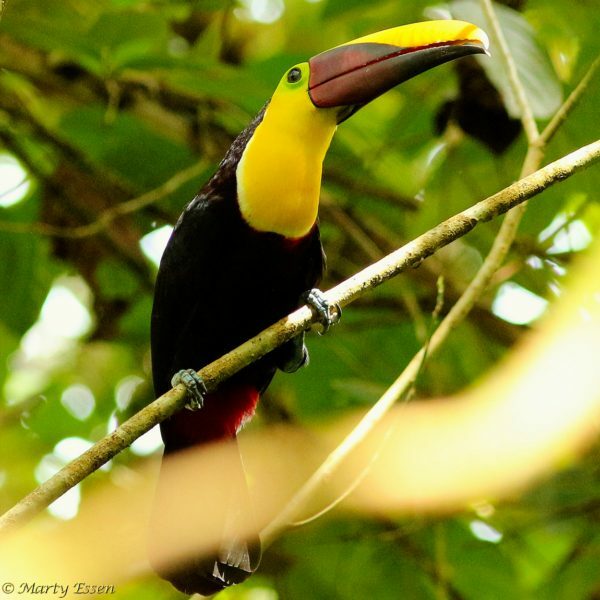 Marty’s photo of the day #2692: This is one of the many toucan photos I shot while hiking in the Costa Rican rainforest. Photographing birds in the rainforest is difficult, because they are often skittish, and branches, like the one at the bottom of this photo, just love to jump in the way at the last moment. Consequently, I had to reject this shot for publication in my second book, Endangered Edens: Exploring the Arctic National Wildlife Refuge, Costa Rica, the Everglades, and Puerto Rico. Another toucan photo made it, however.